The account "Stardango" in Universe 22 is a member of no alliance...I can't find any alliance with the tag "ZEN"...what's happened? Kane wrote: The account "Stardango" in Universe 22 is a member of no alliance...I can't find any alliance with the tag "ZEN"...what's happened? Yes you are correct my friend "ZEN" are no longer in uni 22 I disbanded the "ZEN" chapter in that universe! and i handed all my other alliances over to new leaders, I am not leading any ogame chapters, however i am in uni 35 and I still am a leader in the "ZEN" I am waiting on the merger to decide the "ZEN,s" Stance! But until then i will just play uni 35 as a "ZEN" Player, In uni 22 I am "Stardango" But Play solo! we have not made any moves on the creation of a ZEN alliance however we are chatting about it now, any feedback is most welcome! I am unsure whats going on in uni 44 as sub-sailor has merged zen into Thorns, i don't see ZEN in 44 now and no one has made a request to run a ZEN chapter in uni 44, and in order to run a chapter a potential leader must ask the zen leader for approval! so any update will be great! I like the sound of V-mode, at least. I like everything but the "get strong" part. Might be willing to start an account just to troll people. and implementing all our new rules when players join us etc, NOD will ally with us etc! lol I handed over my chapters to give new players the chance to be leaders and run the show for there selves, however i don't see much support from the new leaders or my old chapters, and further to this i needed to go long term v mode to work on my home for its potential sale and my relocation further up north in Scotland! 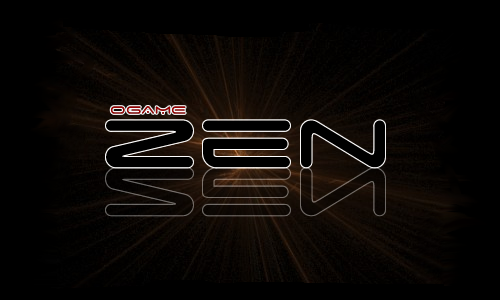 I am still on vmode on all my ogame accounts, I am a member of ZEN in uni 35, as for 44 I was waiting on all the main ZEN leaders to decide on a new chapter in 44, but it looks like it all needs sorting out first! Yes have a word with them, and explain that we have Zen Leaders ( Forum Masters) and we as the ZEN council make the rules for all to follow , Lord Vader, IMADV 8, Pan, Sub-sailor, gorku, Duck and Stardango, are the council, we as a team make the decisions for ZEN! as always! I as a member of the council request all chapter leaders to a meeting in the forum to account for there actions and intentions in running there chapters for the ZEN alliance! you know i joined the zen alliance just before stardango made his dramatic exit, didnt understand what on earth all the fuss was about re stardangos exit, but did get the jist that he was a highly respected leader of zen. have enjoyed my time in zen and learnt loads, talbot, igron lord d, moeiii, halycon to mention a few have all been brill. what ive just read on these posts, is like a bloody school yard rant, and if thats your zen then u can keep it, the young lads that asked to use zens name, are zen members, does that not entitle them to some respect? or is it only all you old timers, one of the clicky, clicky, womens knitting circle types that are granted that? i can assure you gorku i am not in ZEN in any other alliance and yes bloodstar did ask me if he could start a ZEN chapter in another uni and of this you can be sure m8 if i thought there was going to be a problem i would have said no.in my opinion it shows how much he thinks of the name ZEN that he wanted to see it rise in another uni.i think you are being disrespectfull and petty. Yep these two are right. I don't know you at all Gorku, but after having been inactive for over a month, you come out of the blue and post some ridiculous things about ZEN Council... A body apparently no one had been aware of lol. As if Davy couldn't write it to Talbot directly. I've only just read the whole thread now, and imo it's utterly ridiculous. Kizzy is right, but not even a schoolyard rant but a Kindergarden with control freaks waving their trembling fingers. If Stardango is in v-mode in all his accounts that's his business, but ....it's kind of feeble. If I started anything as preposterous as a council the first rule would be for members to be active. Can we please remember that is a game, not some freakshow or government? both bloodstar and i checked quite thoroughly through the universe for any other divisions of ZEN that have already been set up there, but found none. We simply intended to expand the name of ZEN to another uni and we would have asked higher permission if there had been any notice of this "council" before hand, HOWEVER THERE WAS NONE. so i dont see why we should have to disband the ZEN division of 44 because of some out-of-the-blue message, saying quite offhandedly "oh by the way, theres an intergalactic ZEN council now, and you all have to answer to it." because thats just a load of s*** and it makes me angry, because its just a game and your all taking it way to seriously! You "council members" (for every ZEN member in Hydra you are now just a bunch of pitiful control freaks) had a chance to approach this peacefully, and who knows, maybe people would have listened. As it is now, you can be sure you will have no control whatsoever over ZEN alliance in uni Hydra, or over whatever the alliance ZEN is renamed to if you insist ZEN name is sacred... When I signed up for ZEN I don't remember being told anything about any supreme council that decides fates of particular chapters... I knew there was probably some sort of overarching strategical thought, devised by Davy... But not that there was a whole bunch of guys, two of whom were so inactive in Hydra that one of them was kicked out, the other barely held on to the alliance, and the rest of them I've never heard of. My questions sent to gorku have been ignored (he read them, as he said he read some 27 messages), therefore it has been decided to exclude him from the alliance for high treason and offending and disrespecting the leaders there. 1) Who elects the ZEN council? Or is it a self-elected body who claims they may make any decisions they deem appropriate? 2) I was under the impression that Stardango has retired, if not, then why is he not in ZEN in this universe and does not maintain any contact with the members? How can he be in the council and yet not in ZEN alliance in Hydra, particularly one with so many members? Surely he should join ZEN in Hydra, if only to boost its position in the ranking? 3) Can you briefly describe to us who the other council members are, for I have never heard of any of them except for Davy. Which universes are they in and how many points do they have? 4) Would you kindly explain why you were inactive in this universe for over a month, so that the uppercase 'I' appeared next to your nick, and it was only Talbot's good heart that stopped him from kicking you out? Can you explain why you do not respond to private messages. And why Pan, who seemingly is in the council too, was kicked out of ZEN in Hydra after a period of inactivity? Is this the level of gaming and interpersonal skills we may expect from the council, of which I have never heard before? is there a qualifying period that newer members need to attain before they gain any respect, or indeed,are simply considered to be loyal members of Zen? in fact take that question gorku and put it to "the leaders"
Frankly, I am having a hard time figuring out what is going on exactly. Seems to be a lot of finger pointing and unappreciative talk going on. It is not really elected so much as those who started everything kind of got appointed the position. Along with those who came along and played a huge role in Zen and deserving of the position is kind of promoted one could say. Mostly the people that keep a watch and make sure things keep above water. LordOfDestruction wrote: 3) Can you briefly describe to us who the other council members are, for I have never heard of any of them except for Davy. Which universes are they in and how many points do they have? Most are innactive and only browse the forums. You know its a game, like you have mentioned and real life does evolve and change resulting in people not being able to play as much or at all such as myself. I haven't seen anyone step up to take the spots of those not as active, if people showed their commitment to Zen myself along with the others would have moved people up accordingly. This forum is owned and run by one of those council members. And your external area text speech on your alliance page in Hydra, was written by me, back on the previous universes. I have no problem with people starting a new Zen chapter, it keeps the place alive. As long as it is done respectfully. I would like that you be nice to the peoples names in red on these forums, along with everyone else but especially those in red, because they have all done countless hours of work with Zen, and it should be appreciated.